My daughter’s first attempt at watercolor painting. 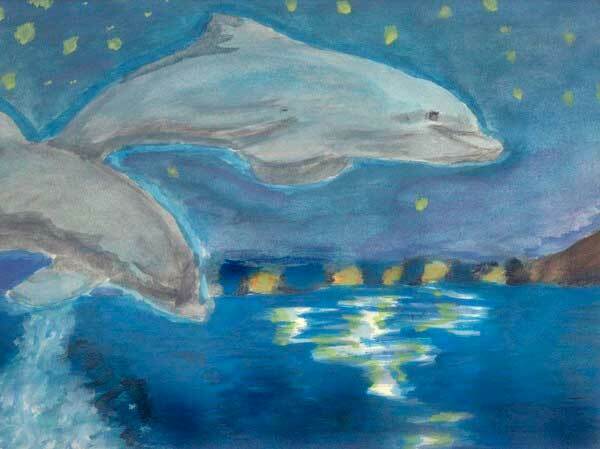 This entry was posted in Artwork, Blue Monday, Mellow Yellow Monday and tagged jumping dolphin, watercolor painting on April 10, 2011 by Yami. not bad for a first attempt! i love how she painted the shimmering water. love the title, the art work is fantastic.